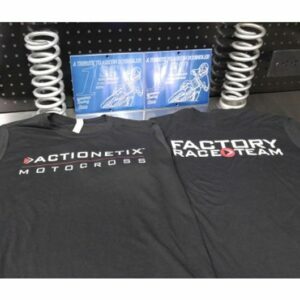 The book and system that’s set to eliminate arm pump! 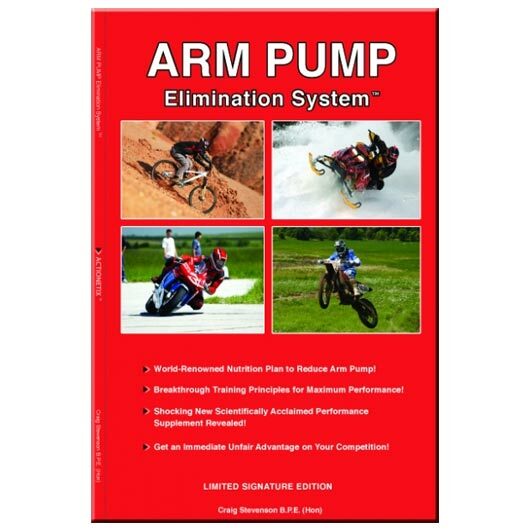 This cutting-edge, full color book details exactly what it takes to eliminate arm pump and dramatically improve your performance. World-Renowned Nutrition Plan to Reduce Arm Pump! Shocking New Scientifically Acclaimed Performance Supplement Revealed! Blueprint for an Immediate Unfair Advantage on Your Competition! Take a scientific journey with critically acclaimed author Craig Stevenson as he explains the three major physiological issues that when triggered, provoke arm pump. Once you understand why arm pump happens, you’ll quickly dive into cutting-edge nutrition, training and supplement strategies that could literally make arm pump a thing of the past! Chapter 1 – I Hate Arm Pump! In this chapter, you’ll get candid commentary on just how prevalent arm pump is in Action Sports. It clearly sets the stage that arm pump is the #1 performance-robbing condition for athletes that depend on their grip. This chapter will explain the exact physiological processes that trigger arm pump. Once you understand why arm pump happens this will allow you to fully understand the next three chapters that focus on training, nutrition and supplementation. You will also learn the difference between arm pump and lactic acid buildup which have to be conditioned differently for maximum performance. This chapter introduces five specific phases of training. A unique approach to Periodization allow you to condition your body for strength, power, endurance and improved recovery, all while changing your cardiovascular physiology to reduce arm pump and dramatically improve performance. This chapter gives you the tools needed to design your own program for maximum performance. Focusing on eating to build functional muscle, improve recovery, balance blood sugar and decrease blood viscosity is the heart of this chapter. Once you read the Nutrition Basics section this will prime you for the commentary on salt and potassium intake as well as regulating Vitamin K in the battle against arm pump. By the end of this chapter you’ll be armed with the knowledge and tools to design a performance nutrition plan specific to you. Knowing how to eat and train to increase performance and reduce arm pump is a great start. Adding a clinically validated sports supplement that can dramatically increase blood flow through the hands and fingers all while reducing muscular cramping can be a real game changer. HemoAde does just that and more. 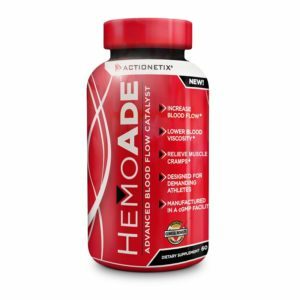 You’ll also learn how HemoAde protects your nervous system and increases the size and number of red blood cells so you can deliver more nutrients to your hard-working muscles with every beat of your heart. 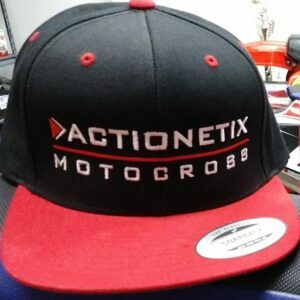 This is the place to find the answers to all the questions you want to ask. Organized into the following sections; General, Training, Nutrition and Supplements this chapter delivers candid and substantiated answers to the most common questions out there. This is where you’ll get all of the important information summarized in review. Since there is so much information packed into the pages of this book, the Conclusion organizes key points in a clear chronological manner for easy reference.